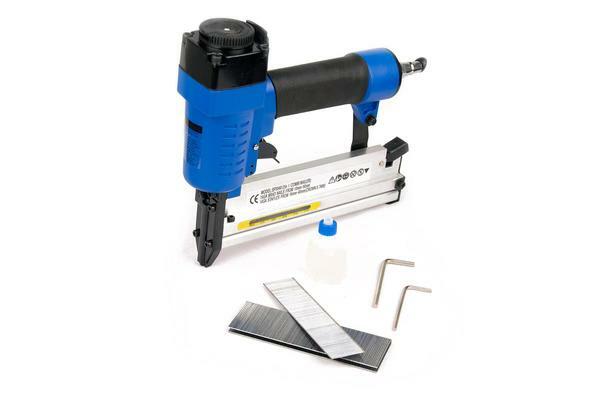 This Combo Nailer Drives both Brads and Staples for a wide variety of Practical use. It’s Tool-Free Adjustable Exhaust Directs Exhaust away from you and your work piece. This Powerful Nailer has a Magazine Capacity of 100 Brads or 100 staples. It operates at 60-100 psi, with a thread Fitting Type of 1/4” NPT. It accepts brads from 10mm to 50mm, and it takes staples from 16mm to 40mm. It Definitely has the Burliness of an Industrial Tool. 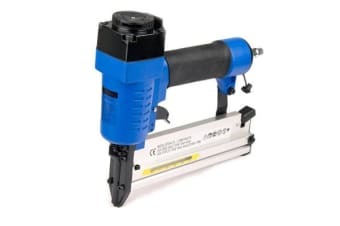 It also features adjustable nail depth by a simple variation of input pressure making it suitable for all types of timber and tasks such as Framing, Decking, Flooring, Crate/Pallet Assembly and much more. 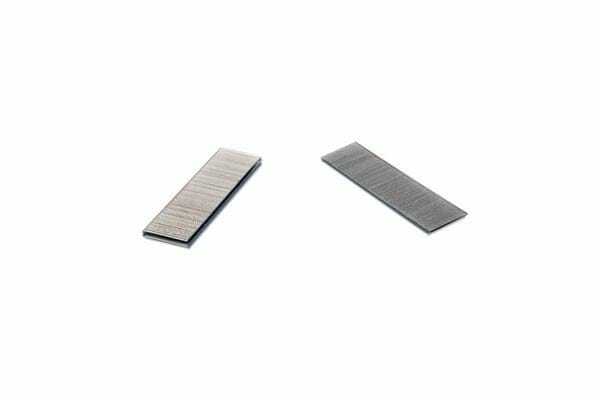 2-In-1 Magazine Design, Shoot both Brads and Staples. Touch-strike Security System which is Safe for the Operator. Accepts a wide range of commonly available nails including Senco, Paslode, Bostitch and Compatible. 360-degree Exhaust Port Adjustable Exhaust directs Blow-Back out and Away from the User. Magnesium Housing and Aluminium Magazine result in Lightweight and Well Balanced for Easy Maneuverability. Comfortable Grip Rubber Handle for Improving Control and during Extended use. Economic Air Consumption with Low Noise.